Een mooie slaapkamer met aparte keuken, bijzonder goed schoon. Prettige ontvangst en veel privacy op het eigen balkon. Prima bed. Goed gelegen, iets buiten het centrum van Porec. L'appartamento era molto pulito e in cucina vi era tutto il necessario. Il wi-fi funzionava egregiamente. Ci è piaciuto molto far colazione fuori sulla veranda. La proprietaria è sua figlia sono state molto gentili e in occasione del compleanno di mia moglie che scadeva in quei giorni gli hanno fatto una sorpresa molto gradita. 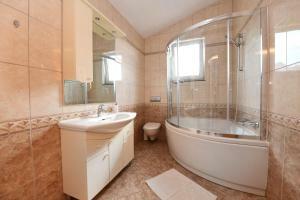 Appartamento accogliente, a pochi km da Porec. Consigliato a chiunque voglia una vacanza rilassante. Zeer propere mini flat. 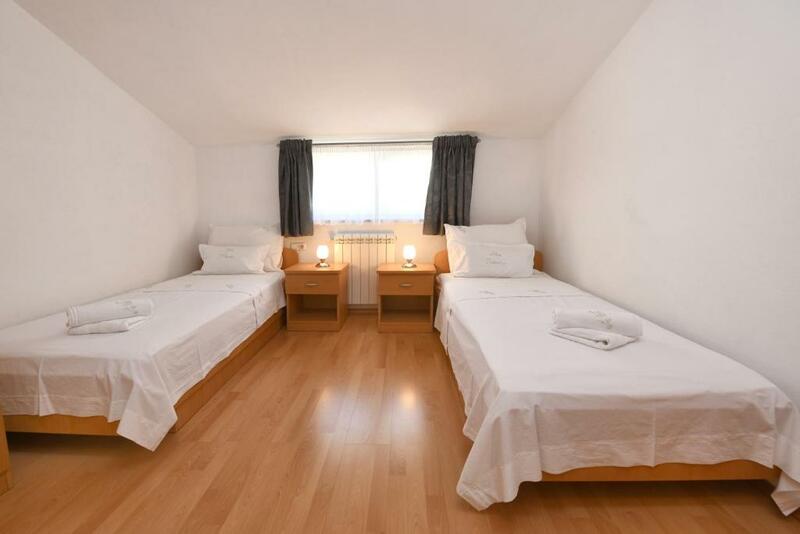 Wij hadden de beneden gelegen flat bestaande uit badkamer met douche, keuken/living en grote slaapkamer met dubbel bed en single bed. Balcon met zicht op tuintje. Gelegen in rustige buurt maar slechts op 2km van oud centrum van Porec . Zeer vriendelijke eigenaars. Tiszta volt,kényelmes csendes hiába, hogy voltak még vendégek rajtunk kívül.Ágyak jók,terasz nagy reggelizéshez kiváló.Kilátás ugyan nincs, de ár érték arányban nagyon jó. Lock in a great price for Apartment AnaKatarina – rated 9.4 by recent guests! 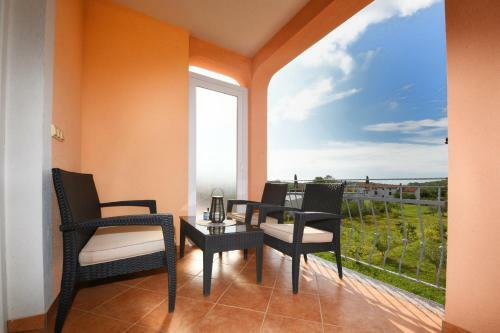 Apartment AnaKatarina This rating is a reflection of how the property compares to the industry standard when it comes to price, facilities and services available. It's based on a self-evaluation by the property. Use this rating to help choose your stay! 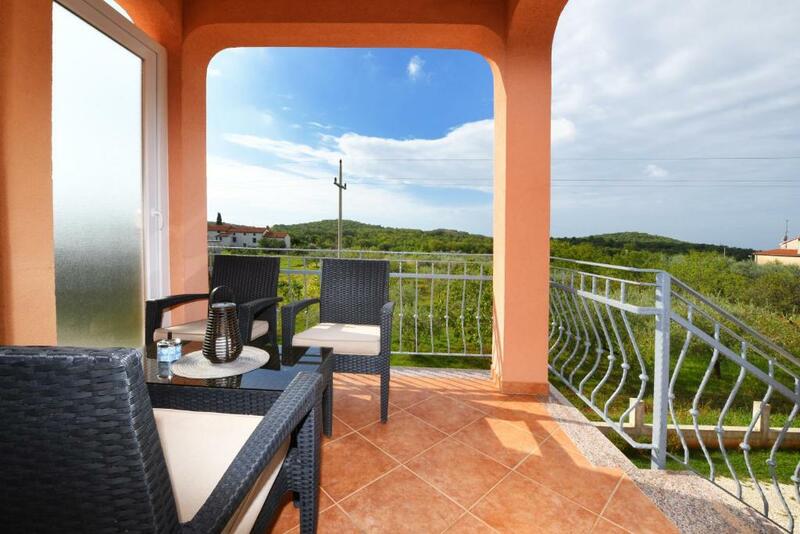 With garden views, Apartment AnaKatarina has accommodations with a kitchen located in Poreč. Free WiFi is provided. 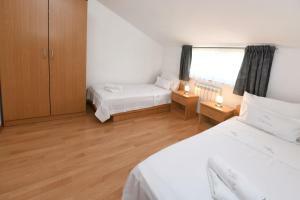 All units feature air conditioning and a TV. Some units include a terrace and/or balcony. Poreč Main Square is 2.3 miles from Apartmani AnaKatarina. Pula Airport is 34 miles away. 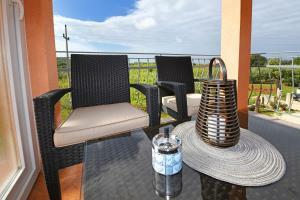 When would you like to stay at Apartment AnaKatarina? House Rules Apartment AnaKatarina takes special requests – add in the next step! Please inform Apartment AnaKatarina of your expected arrival time in advance. You can use the Special Requests box when booking, or contact the property directly using the contact details in your confirmation. Air conditioner was not enough for our room. Beutiful area and very nice People.